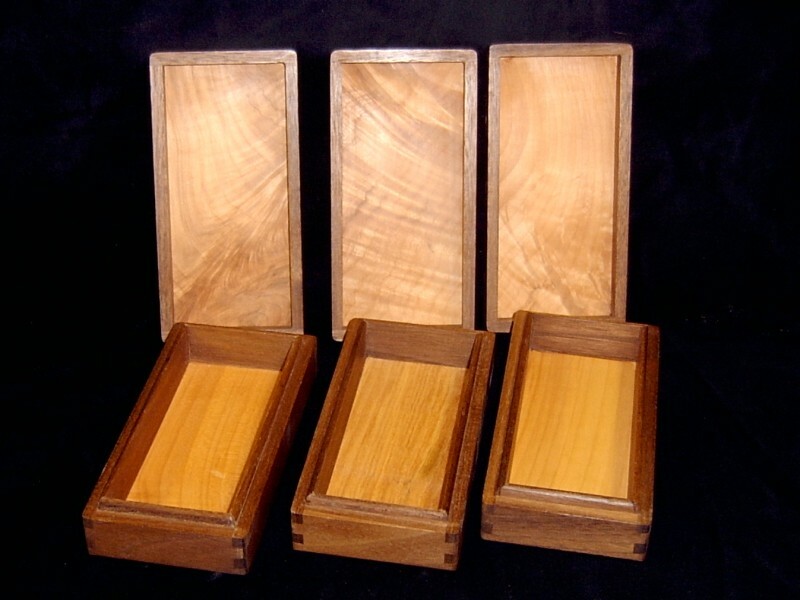 These boxes are made from Walnut with Maple crotch top and bottom panels. The dimensions are approx. 6" x 3" x 1.625" tall. The inside depth is .875". 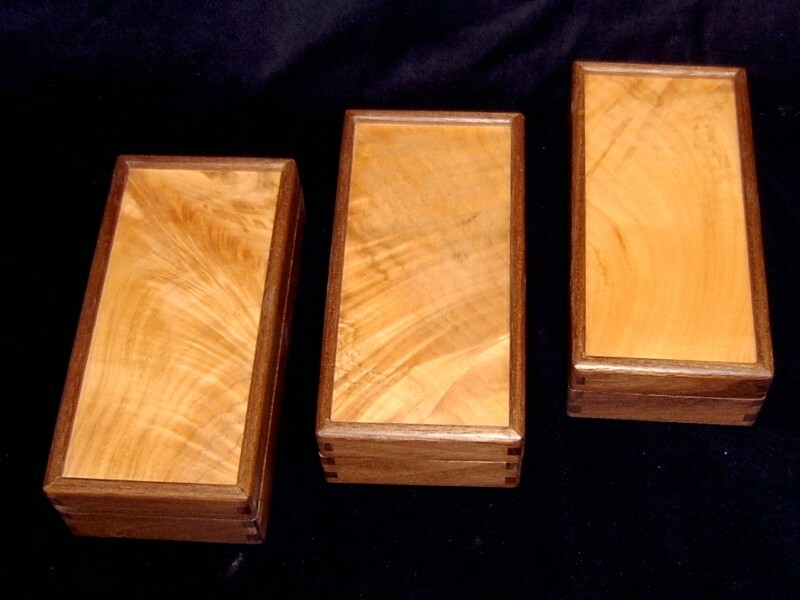 They are finished with a coat of drying oil and buffed with a coat of Canuba wax. All three are available for purchase.